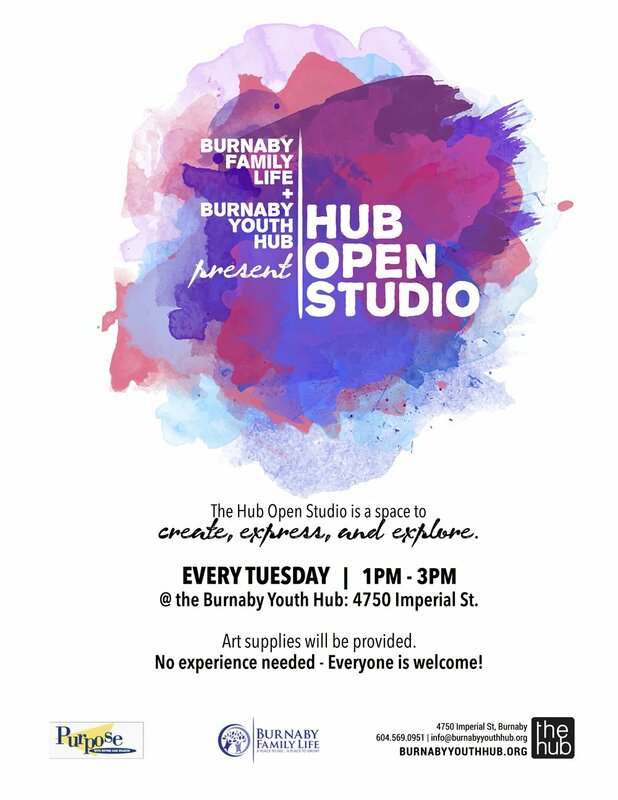 The Hub Open Studio is a program created by Burnaby Family Life, in partnership with the Lower Mainland Purpose Society. Facilitated by the Burnaby Family Life Child & Youth counsellor and certified art therapist, the Hub Open Studio is a place where youth can explore creating art with a range of materials, in a non-judgmental and nurturing environment. It represents a space where art can be used as a vehicle for expressing emotions and creativity. All youth are welcome! Hub Open Studio runs every Tuesday from 1:00pm – 3:00pm.